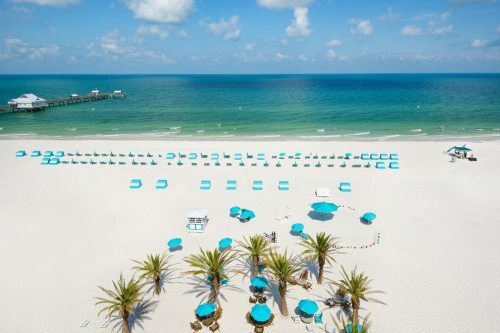 Sunwing has dropped the price of their late fall and winter flights from Toronto to St. Petersburg, Florida down to $221 CAD roundtrip including taxes. 1. Go to the Sunwing website or FlightHub or FlightNetwork. Update 12/5 - Last minute December dates from Toronto to St Petersburg, Florida have dropped down to between $189 and $211 CAD roundtrip including taxes, including dates over Christmas. 1. Go to FlightHub or FlightNetwork. Update 12/22 - January dates from Toronto to St Petersburg, Florida have dropped to $171 CAD roundtrip including taxes. This price is based on 2 people purchasing a flight, as Sunwing is offering a small discount when you purchase two flights. If you purchase one flight, the price is $8 higher. Jan 27 or 30 to Feb 6 is also available for $188 CAD roundtrip including taxes (based on 2 flights being purchased). Update 12/26 - Late January, early February dates from Toronto to St Petersburg, Florida have dropped to $200 CAD roundtrip including taxes. toronto, yyz, united states, florida, sunwing, st petersburg, north america and pie.